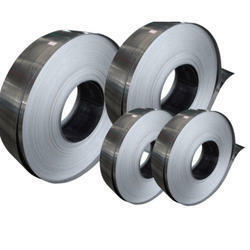 We are a leading Manufacturer of cold rolled steel strips and annealed steel strips c-80 from Mumbai, India. 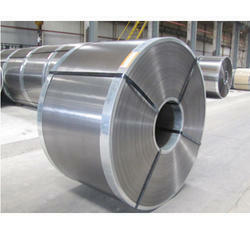 Our company is considered a renowned name in the field for proffering Cold Rolled Steel Strips. Proffered in soft annealed condition, these strips are highly acclaimed for their excellent hardness, yield stress, elongation and tensile strength. Before the final send off, the series is checked for carbon, hardness, quenched hardness, microstructure, thickness, width and bend. Steel Corporation is one of the preferred choices of our clients for proffering Annealed Steel Strips C-80. Widely used for making springs, washers, spacers, clips, pin, inserts and other products, these steel strips are appreciated for their hardness, good tensile strength and supreme finishing. Suitable for bending and forming applications, the proffered strips can be heat treated for desired hardness. Looking for Annealed and Cold Rolled Steel Strips ?